It's a good thing to have parents who are into the game, even if it only means storing the local arena's gear in the basement of the house. However, if not for that, this week's AGM probably would have never been interested in the position enough to make it to this list. This week, the profile of Doug Soetaert. Growing up in Edmonton, Soetaert's father was in charge of the community's equipment, including goal gear. That allowed Soetaert to put on the gear at will have his buddies shoot puck at him. That helped a lot, as he was a solid junior goalie from the 1971-72 season until the 1974-75 season playing with the Edmonton Oil Kings, where he would play 184 games in four seasons, compiling six shutouts in that span and 4.05 GAA. Also, Soetaert would be able to get onto the 1975 World Junior team, which was compiled of an All-Star team from the Western Canadian Junior League. Soetaert played well enough to be drafted by the New York Rangers in the second round of the 1975 Entry Draft. The 1975-76 had Soetaert in the AHL with the Providence Reds, playing in 16 games and putting up a 6-9-1 record, while also playing eight games with the Rangers and finishing with a 2-2-0 record. It was another split year for Soetaert in the 1976-77 season, playing 16 games with the AHL's New Haven Nighthawks with a 6-9-0 record and then 12 games with the Rangers, ending there with a 3-4-1 record. New Haven is where Soetaert would play the majority of the 1977-78 season, playing in 36 games and compiling an even 16-16-6 record there; plus a 8-7 record in 15 playoff games. Soetaert also did get the call for six games with the Rangers-- another even year at 2-2-2. The 1978-79 season had Soetaert as the back-up for the Rangers the majority of the year, going 5-7-3 in his 17 appearances, but did play in three games in New Haven at 2-1-0 clip. Soetaert would return to New Haven with the 1979-80 season, appearing 32 times with a 17-18-5 record to his name, with a playoff record of 5-3. Soetaert would fair better with the Rangers with a 5-2-0 record in eight appearances there. That allowed Soetaert to spend the 1980-81 season primarily in the Big Apple, playing in 39 games on Broadway and finishing up with a solid 16-16-7 record. Soetaert also touched back in New Haven, finishing with a 5-5-1 record in his 12 games played. The Rangers were in a logjam with goalies, which made Soetaert expendable as they traded him to the Winnipeg Jets for a draft pick in the summer of 1981. Soetaert jumped into the line-up with the Jets in the 1981-82 season, playing in 39 games and compiled a 13-14-8 record, then going 1-1 in two playoff appearances. Soetaert was allowed more game time in the 1982-83 season by playing in 44 games and finishing with a 19-19-6 record, while in the 1983-84 season; Soetaert had played 47 games with a 18-15-7 record to show and a 0-1 playoff record. Before the 1984-85 season, the Jets traded Soetaert to the Montreal Canadiens for Mark Holden. That first season with Montreal, Soetaert when 14-9-4 in 28 appearances backing up a young goalie named Patrick Roy. 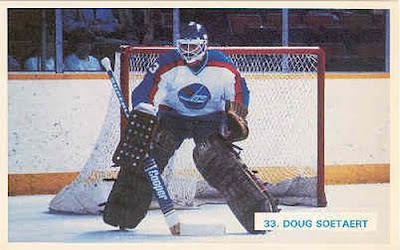 The 1985-86 season saw Soetaert do the same thing, playing in only 23 games and finishing with a 11-7-2 record and being along for the ride as the Canadiens won the Stanley Cup that spring. The 1986-87 season had Soetaert return the Rangers as a free agent, where he would play 13 games with a dismal 2-7-2 record. It would be Soetaert's last, as he would retire after that season. After his career, Soetaert went into the front office roles many former players do. Soetaert would first work with the IHL's Kansas City Blades for 11 seasons as a coach and GM; helping them win a Turner Cup and being named Executive of the Year in the IHL in 1992. Soetaert would also build up a solid junior team in the Everett, Washington with the Everett Silvertips, starting from the ground up and putting a solid contender in the WHL from the start. While he did take a small detour to help the Calgary Flames in their new AHL team (Omaha Ak-Sar-Ben Knights), but would only stay there for a season before returning to Everett as a GM, where he is today. It was from the basement to Broadway for Soetaert and he did have quite the career. 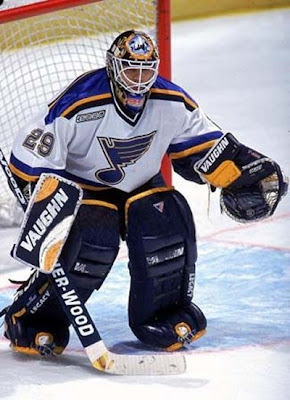 He did what he could in order to show his wears for the team he was drafted with, but also made notable strides late in his career, where he would also be witness to the start of a great goalie's career and winning a Cup ring in the process. 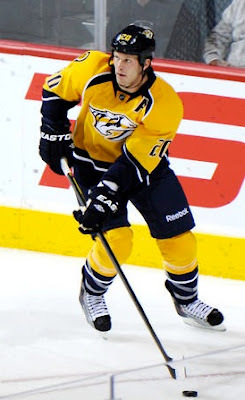 He made a solid life for himself in the hockey world after his playing career is well. You can't really see much of a downside, if only the happenstance of things getting jammed up a bit stifling some progress. There's going to be quite the racket coming up so when it comes to some high-profile rookies and what their club teams are going to do and should do with them for the rest of the season. The rule is that teams can have junior-eligible players dress up to nine games without having the first year of their entry-level contract kicking in. They have more time to send them back before a year of service goes in their career, but that's another story altogether. 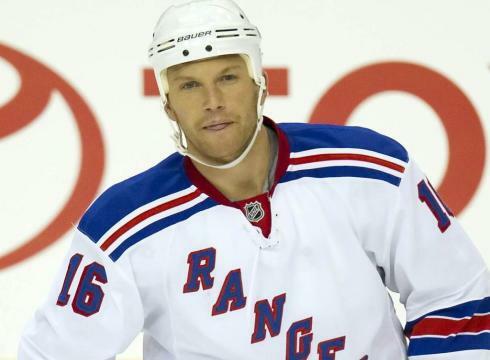 The likes of Ryan Murphy, Ryan Strome, and Jonathan Huberdeau were sent back before notching a game under their belt. The big question is for the following guys from the 2011 Draft still in the pros, which I'll talk about, huzzah. Ryan Nugent-Hopkins: Following Saturday night's hat-trick, the Oilers are going to be hard pressed to make this decision to either keep RNH or to send him back to Red Deer. Undeniably, he has the skill, but will the size and stamina be there for him?? Plus, with all the young guns that they have in Edmonton, do they want to burn a year on his contract and create a logjam for the Oilers for money in the next five years?? Personally, I think that it would definitely help RNH to go back to Red Deer for another season just to dominate and to fill out a bit, but if the Oilers keep winning and he keeps playing top-six time; he could find an apartment right quick. Gabriel Landeskog: Here's another guy who would enjoy a decent goal-scoring season in Colorado, should the management think he could hang with the team. He's got the size, but it's a matter of what the team will do and what they want to do with the contract. While Landeskog has the guile to be an NHL right now, I believe the Avalanche will send him back to Kitchener for another year of seasoning. Adam Larsson: The odds are good Larsson will stay up in New Jersey. In four games, he's averaging over 24 minutes of ice time, though he has a minus-1 to show for it. He's playing in key situations and really getting a lot of confidence from coach Pete DuBoer; which makes me think the big Swede will stay in the Swamp this year. Mika Zibanejad: Senators' coach Paul MacLean said that Zibanejad would get the full nine-game tryout, but beyond that is going to be a question. It seems the Senators are going nowhere fast this season, which makes it hard to put a young kid in that disorganization and maybe warp him. Of course, he hasn't reacted too well to the change in game from over in Sweden, so odds are that's where he'll be destined when his nine games are up. Mark Scheifele: With Scheifele's big training camp and preseason (4g, 4a), you'd expect he'd light things on fire. Yet, the Jets and Scheifele haven't done much of anything on the ice, which could cause this great story to fall by the wayside; but for the best on a new team trying to find their way in a new place. Scheifele will definitely be a big part of the future of the Jets, but right now-- he could just want to enjoy the splendid time he had in the limelight and build off of that. Sean Couturier: Couturier had a solid pre-season, enough to get on the Flyers roster; but alas-- it seems he hasn't been able to hang with the regular season side of things. With one assist and a +2 in three games, he hasn't been horrible; but could get lost in the fold if he stays up and starts to decline in performance and ice time. There's one definite, two maybes, and the rest will probably see their NHL experience end in the next week, which could be just enough for them to get hungrier and more driven to get back there full time. Or it could break them completely and never be as good as they could have been. It's always a tight-rope walk when it comes to young kids, especially those who are just over three months removed from being drafted into the league. If we are to believe the Irish god of Twitter, Bob McKenzie, then the Detroit Red Wings will be the newest member of the Eastern Conference in the Southeast Division, sliding the Winnipeg Jets over to the Western Conference in the Central Division. I'll let that sink in for a second, while you try-- like me-- to figure out how this is possible. For one, the Red Wings are further north than the Columbus Blue Jackets-- who could really use the move to the Eastern Conference because of the monetary woes they have been having. Greg Wyshynski pointed it out perfectly in this tweet. Hell, even the Nashville Predators would make a little more sense to be in that area in terms of location; though they are in another time zone and about 200 miles further away to their closest rival than the Wings or Jackets are. Regardless of the outcome-- the tin-foil hat brigade will be other on either side. If the Red Wings move: Then the Wings haters will be all over the NHL for saying that the Wings have the NHL by short hairs and forced this move to have an easier schedule, though they have been doing very well in the Western Conference even with the travel. If any other team moves in lieu of the Red Wings: Then the Wings fans will get up in arms about how the NHL doesn't want them to win and that because of their history-- they should be able to move to the East and have a lighter travel handed to them. Either way, the NHL is in a lose-lose situation here. Damned if they do, damned if they don't. Not so much the distant, the fact that the Red Wings would lose the rivalries they have with the Chicago Blackhawks, Colorado Avalanche, and even the Nashville Predators if they moved west; though if the Preds move-- that would screw that up, but whatever. My point is that you can't have a team that has a rival base like that up-and-move because they feel they have some kind of stroke with the league. Logically, the Blue Jackets would be the best. They don't have any natural rivalries in the West, they're in financial peril and could use the break in travel, plus they're closer to the Southeast Division than the Wings. I'm not a fan of the Predators moving due to the time-zone, but at the same time-- it would fit in to the geographical logic. With brings me to this point, the NHL needs to realize that they geographical assignments to the divisions don't work. Hell, the divisions should exist anymore. Since teams don't have to play out of their divisions to move along-- why even have them at all?? Send the best eight teams out of the Conference to represent them in the Stanley Cup Finals rather than having to make sure that every division has a team in there, even if they aren't worthy enough-- like the Southeast Division was for years. There's really no need to have the geographical assignments with teams out of whack-- like Minnesota in the Northwest Division. 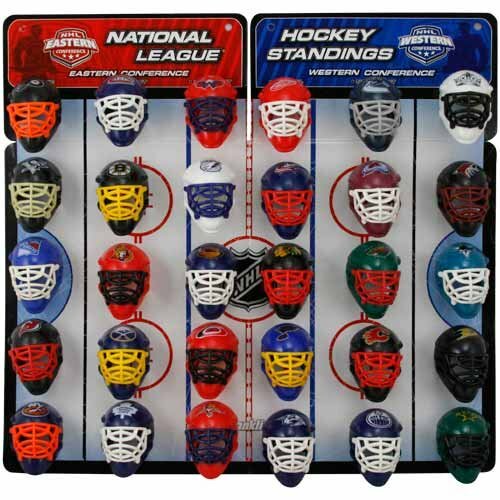 If the NHL wants a divisional setting-- you'll have to have uneven divisions of seven in one, eight in the other, and have the top-four from each go to the playoffs, play out of the playoffs, and then move onto the winners out of the division go to the Conference Finals-- much like in the days where there was a Patrick, Adams, Smythe, and Norris Divisions out there. The debate will never not make sense to one side or another and the debates will rage on. Now, if the Blue Jackets or Phoenix Coyotes end up moving to Quebec City-- then problem solved, but that's just me stirring the pot. We'll just have to wait until December.....a long December. It's not often where we see a goalie make it to the NHL from a Division II NCAA school, but that's exactly what we have in this instance. While he did stay at home in one of the more unlikely college markets, he attained most of his playing time and notoriety. This week, the profile of Bob Janecyk. The long road for Janecyk started in his hometown of Chicago, Illinois; where he would play four years with Chicago State University from the 1975-76 season until the 1978-79 season. Janecyk would get All-American honors in 1976, 1977, and 1978. Janecyk would move to the professional ranks during the 1979-80 season, where he would start with the Chicago Cardinals of the Continental Hockey League for a single game, before moving to the IHL to first play two games with the Flint Generals, but would make his name for 40 games with the Fort Wayne Komets. The summer of 1980, Janecyk was signed by the Chicago Blackhawks and spent the 1980-81 season in the AHL with the New Brunswick Hawks, going 11-18-1 in 34 games. Janecyk would stick with New Brunswick for the 1981-82 season, putting up an impressive 32-13-7 record in the regular season and going 11-2 in 14 playoff games, helping them win the Calder Cup. Janecyk won the Hap Holmes trophy for fewest goals-against that season, as well as getting First Team All-Star honors. The 1982-83 season had Janecyk move to the Springfield Indians of the AHL, going 19-24-4 in 47 appearances, as well as getting First Team All-Star honors that season as well. Janecyk was back in Springfield for the 1983-84 season, playing in 30 games and finishing with a 14-11-4 record. Janecyk also spent eight games with the Chicago Blackhawks, going 2-3-1 for his hometown team. During the Entry Draft of 1984, Janecyk and three draft picks from the Blackhawks (which included future Baseball Hall of Famer Tom Glavine) to the Los Angeles Kings for two draft picks in return. 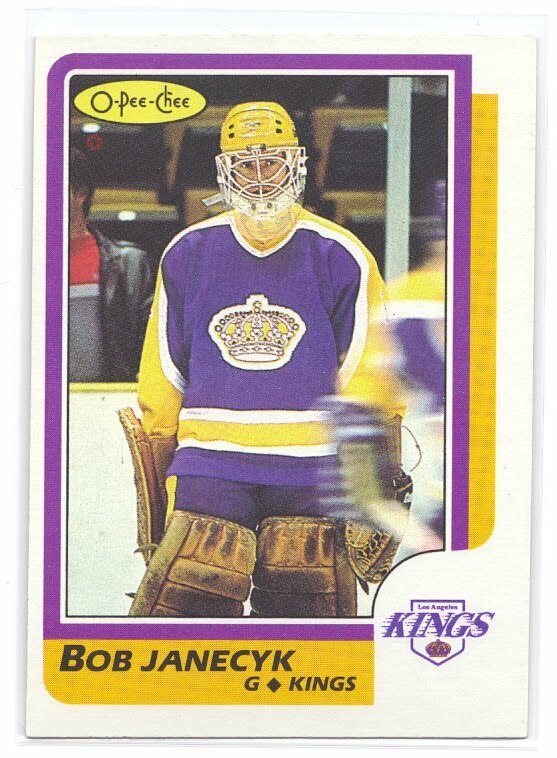 That 1984-85 season had Janecyk thrown into the starting role for the Kings quickly, as he would play 51 games and compiling a 22-21-8 record, then going 0-3 in three playoff games. Janecyk only saw 38 games of playing time in the 1985-86 season, finishing with a 14-16-4 record. With the Kings bringing in Daren Eliot as a back-up in the 1986-87 season, Janecyk only saw seven games of action, going 4-3-0. Janecyk played in the AHL for the New Haven Nighthawks for the bulk of the 1987-88 season, going 19-13-3 in 37 appearances, though he would get the call back to Los Angeles for five games, having a 1-4-0 record to show for it. Janecyk would be back in New Haven for the 1988-89 season, posting a 14-13-6 record in 34 games, as well as getting to play in one game for the Kings; a no-decision. 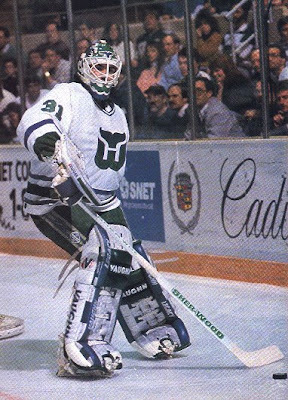 After that year, Janecyk hung up his pads. After retiring, Janecyk got into the management game and is currently a scout for the Ottawa Senators. He stayed close to home when he started his career, but it could be the most unlikeliest of career paths taken of all these AGMs that have been done. Though Janecyk was pushed out towards the end, he did what he could to keep his spot in the NHL. If nothing else, he played for his hometown team, which something not many players can do in their careers. The joys of parenthood is defined different for everyone. For me, it's someone to do my work for me. As Kaity did in her 2nd Annual Picks for the Cup. To be fair, on FOHS last night (which you can hear when the Playoffs start, I'm sure): I did pick the Carolina Hurricanes and Dallas Stars for my Cup picks, not picking a winner. With the waiving and subsequent sending down of Sean Avery, the big question is whether or not anyone will see Sean Avery on an ice rink in a hockey playing capacity ever again. With one more year remaining on his current contract and then three teams having to pay him if he's picked up on re-entry waivers; the odds are slim unless someone wants to take a big chance. However, oddly enough-- that's to the wonder that is FOHS's resident accountant, JonnyP-- if every team picked-up Avery on waivers and then put him back on re-entry waivers; the last two teams would only have to pay $0.0072 for his contract. Fun facts. But still-- the biggest thing working against Avery is the fact he is a loose cannon. While he does have a great amount of actual hockey skill; the fact he takes greater pride in being an instigator...and then not knowing when to draw the line in that makes many teams wonder if it's worth the risk to have a guy out there like that. Sure, he'll draw a key penalty; but at what point do you think he'll be able to know when to draw the line. That's why the Rangers were the best fit for him, because he had a coach like John Tortorella who knew when to pull the leash on him and keep him in line and focused; to which Avery responded most of the time. 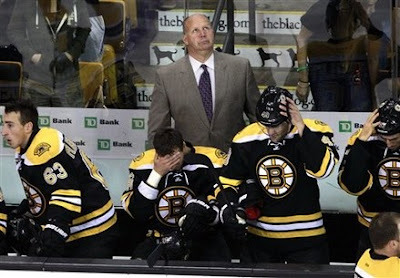 Other teams are going to look behind their bench and maybe give their coach a break for trying to deal with a guy like that; not so much that the coach couldn't handle it-- but because of the stress that it could cause trying to keep an eye on someone like Avery, as well as the rest of the bench could take it's toll. Then there's the distractions on Avery's behalf, mostly because he's a guy who does seem like he want to have his hand in other interests outside of hockey, so putting him in a place where he doesn't have that outside stimulus-- while it's the best place for him to focus on hockey-- would make him a restless soul to deal with and then he goes out and does something stupid to make himself and team look back. We all remember the Dallas incident, so there's that. Personally-- I would enjoy seeing Avery back in the NHL because he's the prototypical guy who's going from the goon mentality to the agitator mentality. Plus, when he wants to be a solid offensive player, he actually can be. It's not like he's a one-trick pony. However, that fate for this year is held in the hands of Glen Sather and Avery. After his contract runs out, I doubt many teams will make a move unless they see an attitude change-- which is a bit disappointing, but understandable. Time will tell. To have Sidney Crosby ranked as the #1 on a Top 50 list is just as asinine as Ian Laperriere winning the Masterton Trophy even though he didn't play a single game in 2010-11. Sure, it's a crass comparison, but when you look at the fact Crosby hasn't played a game in almost ten months, it's hard for me to believe that TSN is right in naming Crosby the top player in the league. I get that they have to keep the Canadians happy and Canadians love Crosby-- but there's a thing call reality in there. Yes, Crosby's skills are amazing when he's on the ice-- but now, who knows what's going to happen if he gets into traffic or get a solid check again that drops him for another extended time. That said, while I like Alex Ovechkin, too-- he shouldn't be the second player on that list or first. Ovechkin is coming off a horrible year. He should be judged as such, at least in my world. This is the problem with lists, they don't have ANYTHING to do with reality. It's just something that deals with a popularity contest-- much like the All-Star voting, where it doesn't matter how hurt someone is, they'll still get voted to the starting line-up because of popularity. The lists are crap and definitely not rational when it comes to proving worth. It's a slight to guys like Steve Stamkos and the Sedins (Daniel and Henrik) that Ovechkin and Crosby are ranked higher than them. Granted, the dynamics and attention Ovechkin and Crosby get are second-to-none; but that doesn't mean they're effective as the others mentioned above (or others in the league) that have played better than the big two. In the end, it's all subjective. People will like who they like and there's going to be no moving them from that position. People love Crosby and Ovechkin and will discount their play (or lack thereof) because of their position in promoting the league and being recognizable. It is what it is though, because you can ask fans of all 30 teams and odds are you'll get at least 20 different answers on who the best in the league is. That's just the happenstance of people's opinion. I'm quite surprised I haven't gotten to this week's entry sooner. He has a bigger presence in his post-career life than he did during his career. Even so, if not for the experience in the pros that he had, he may not be as good on the mic as he is now. Yet, one big injury shortened his career, though allowed him to get to the booth sooner than usual, which benefits fans ten-fold. This week, the career of Daryl Reaugh. Reaugh started it off with the Cowichan Valley Capitals in the BCHL starting in the 1982-83 season, but would move to the WHL's Kamloops Jr. Oilers starting in the 1983-84 season; putting together a 34-10-0 record in 55 games, then going 14-3 in 17 playoff games, helping the Jr. Oilers to the WHL Championship. Reaugh went 1-2 in the Memorial Cup, as well. During the 1984 Draft, the Edmonton Oilers selected Reaugh in the second round; but he would play again in Kamloops, posting a 36-8-1 record in 49 games and 10-5 in the playoffs, losing in the Finals. Reaugh was awarded First All-Star Team honors for the WHL West. During that 1984-85 season, Reaugh played one game with Edmonton, a loss, and would join the organization in the 1985-86 season with the Nova Scotia Oilers of the AHL. Reaugh had a 15-18-4 record in that first year while playing 38 games. The 1986-87 season saw Reaugh get into 46 games and finishing with a 19-22-0 record and 0-2 in two playoff appearances. The 1987-88 season had Reaugh bouncing everywhere. He would play in Nova Scotia for eight games (2-5-0) and for the IHL's Milwaukee Admirals for nine games (0-8-0), but would spend the majority of his time in Edmonton with the Oilers, dressing for 60 games, but playing in only six (1-1-0). Reaugh dressed enough for the Oilers that year that he received a Stanley Cup ring for the Oilers' victory and was included in the team picture, but did not get his name engraved on the Stanley Cup. The 1988-89 season was an interesting one for Reaugh. First, he started out with the Cape Breton Oilers, but would move over to Finland to play with Karpat Oulu for 13 games and going 7-5-1, then returned to Cape Breton. With Cape Breton, Reaugh went 3-10-0 that entire season. Reaugh signed with the Hartford Whalers in the summer of 1989, but would spend most of the 1989-90 with the Binghamton Whalers of the AHL, playing in 52 games and ending with a dismal 8-31-6 record for the season. Reaugh would split his 1990-91 season between Hartford and with the Springfield Indians, who relocated from Binghamton. 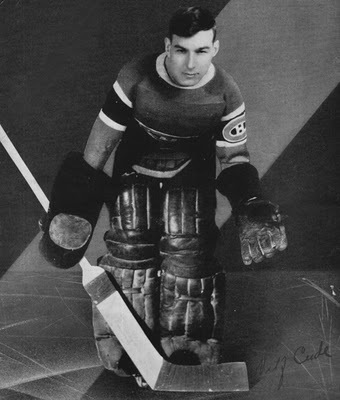 In Springfield, Reaugh went 7-6-3 in 16 games, while in Hartford-- Reaugh went 7-7-1 in 20 games, but would have his season end abruptly as his catching hand was skated over by an opponent's skate. Reaugh was back in Springfield for the 1991-92 season, playing on 22 games and finishing with a 3-12-2 record. There was little work for Reaugh in the 1992-93 season, as he would play only one games with the Hershey Bears of the AHL that season, which was a no-decision. The 1993-94 season had Reaugh in the ECHL wth the Dayton Bombers for four games (1-3-0) before a severe hamstring injury would end his career at age 28. Yet, Reaugh was able to get back into the game easily, first contributing to the play-by-play spot in Dayton after his injury Then, he would become the Dallas Stars color commentator in 1996, a position he still holds today; as well as blogging for the team's site.. Along with that, Reaugh has been a contributor for the Versus Network, NBC, ESPN, ABC, Fox, and EA Sports. This season, Reaugh will also contribute to CBC's Hockey Night in Canada for the late broadcasts. Reaugh has great comedic timing in the booth, as well as being a very articulate broadcaster with catch-phrases for days....whatever that means. While severe injuries cut his time in the pros short, at least he was able to get back on his feet just after his career did end. There was a lot of promise, but it just seemed fate wasn't there for him. He did have a couple championships to his credit, though, and you can't take that away from him. Sure, I'm a bit late to the party, but I wanted to see how they panned out first. The NHL is apparently going to try out having numbers on the front of the helmets for this upcoming season. The news first broke when the equipment manager of the Minnesota Wild put a picture up on Twitter of Dany Healthy's helmet with the front numbers on them. During preseason games, you could see team like the Wild and Nashville Predators try out this new invention, which the NHL is claiming to use to help the people at home watching with who has the puck and broadcasters, as well. Not that that big number on back and "TV" numbers on the sleeves were enough for some people. My point is that these look so far out of place, it's laughable. As much as I hate the front number to the jerseys because it's out of place; I'd much rather have those than the numbers on the front of the helmet. Hell-- I'd rather have unnecessary piping on the helmets than to have these front numbers. There's a lot of other hypothesis about why these numbers are there-- that it's the start of helmet branding is one of the funnier ones, but someone suggested that it's to maybe get the players from focusing on the head, as if it were a guy with his back turned. If you see the numbers, don't hit them is the rule you learn in pee-wee hockey, but still we have those issues today. If that's the reason, the NHL should come out and say that rather than to actually have the audacity to say that it's due to making it easier to watch. People have eyes and will probably be able to tell the numbers from the back rather than in the front. Plus, you'd be able to tell skating styles and all that other junk, but at the same time-- if this is for safety measures; it probably is going to get as ragged on as it has been. Odds are people would accept it more and maybe even applaud the decision to do something like that. Yet-- here we are....front numbers; hopefully the helmet companies will take my piping line as a joke.....god, I hope.